In October 2014, we purchased a Campagnola “BuonOlio” mill & loader/washer. The BuonOlio Top is a top quality two-step mill with continuous processing cycle that can press roughly 175 lbs./hr. - a perfect fit for small scale producers like ourselves. 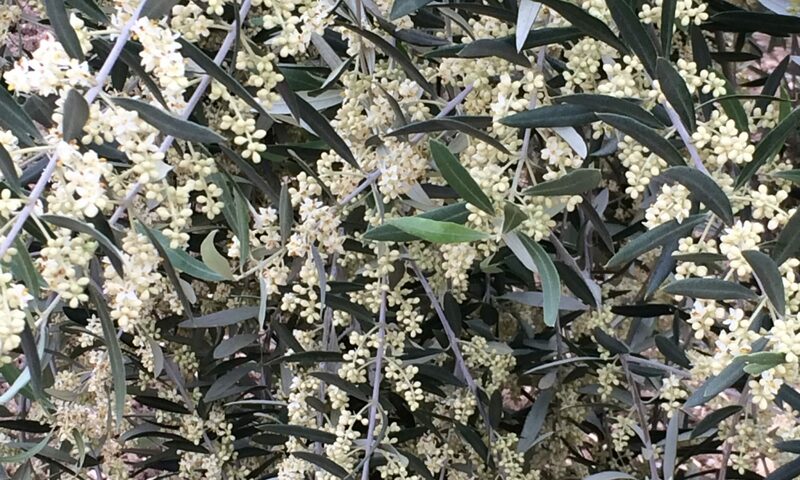 The olives are put into a hopper/defoliator where they are washed and leaves blown off. Then a screw conveyor transports them to the Mill hopper where they will go through a revolving blade system for 'cell membrane disruption' (simply put - crush and grind the olives), pits included into paste to facilitate the release of oil. Some people remove the pits (stones); however, the pits contain some oil and separation value. NOTE: This all has to be done without raising the paste temperature past 82F, otherwise degrading biophenols & negative enzymes become active affecting aroma, quality, and shelf life of the oil. The paste falls into a closed vertical container for malaxing. This prevents it from getting in touch with the air and, consequently, from becoming oxidized. Kneading the paste for approximately 10 minutes makes the small oil droplets coalescence into bigger ones. We then begin to move the paste to the centrifugal decanter turning 3200 RPM to separate the oil. Olive paste, vegetation water, and oil separate automatically in layers by centrifugal force and different weights. The oil outflow begins to come out of one outlet and the paste conveyor expels the ‘cow patty’ waste from another. Incidentally, this organic matter can be put back in the orchard as fertilizer. All mill parts in touch with the product are made from 340 stainless steel. Error: Error validating access token: Session has expired on Saturday, 20-Apr-19 13:55:24 PDT. The current time is Saturday, 20-Apr-19 19:42:17 PDT.